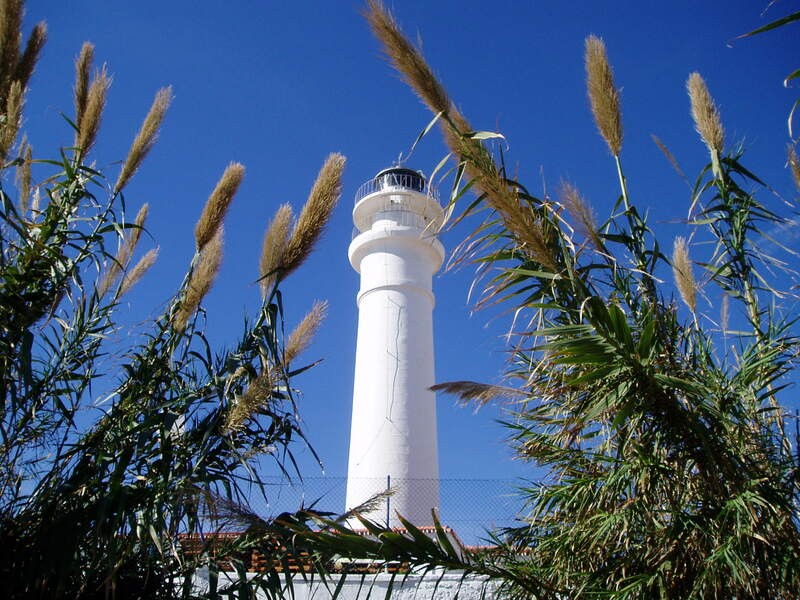 The lighthouse at Torrox Costa is approximately 50 kms to the east of the city of Málaga. This stretch of coastline has bamboo fringed beaches and is immediately east of the “Balcon de Torrox“, constructed as a lookout to the sea and headlands, with transparent flooring looking down on the Roman necropolis unearthed beneath. I particularly like the contrast of the white-painted lighthouse against the clear, blue, Andalucián summer sky, fringed with the wild bamboo fronds. The perspective of the height of the structure is completely lost in the vegetation. This entry was tagged Andalucía, East of Malaga, Europe, Malaga, photography, Spain, Torrox, travel. Bookmark the permalink. I love light houses and this one looks amazing. We are actually looking at property in your area. You never know, we may meet up one day. Love your blog. Are you really, Darlene? How exciting! My hubby is British and his parents retired to the Costa Blanca a few years ago. So we are thinking of moving to Spain as well. I’ll let you know how it goes. I really appreciated your list of the cost of things. OOHHH excellent – the weather will be lovely then, too. A beautiful shot, Marianne. That lighthouse must be something to see from all angles, whether cast against the blue sky or the Mediterranean. I bet it gets photographed countless times on sunny days. Amazing perspective! I really enjoy visiting lighthouses. This one seems quite unusual. Thanks for sharing. No, it’s really quite ordinary – maybe it looks unusual because of the perspective. Oh, look at that blue sky! So envious! Great photo! A stunning shot Marianne, the white against that fabulous sky! Beautiful – need to take a drive down to the coast now we’re back! Love the perspective on this shot, Marianne. Great angle. Great shot of the lighthouse! I like the contrast and the angel you took.